Lilikoi. Passionfruit. 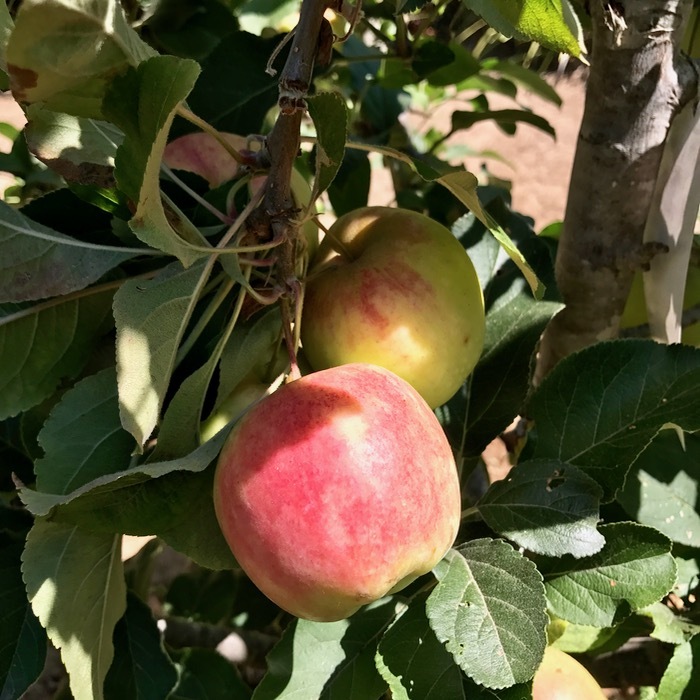 There are so many of these beauties growing along both our north side and south side fences, so many that look plump, vigorous, and full of promise, that they are worthy of a festival. A Bird House Fruit Festival! 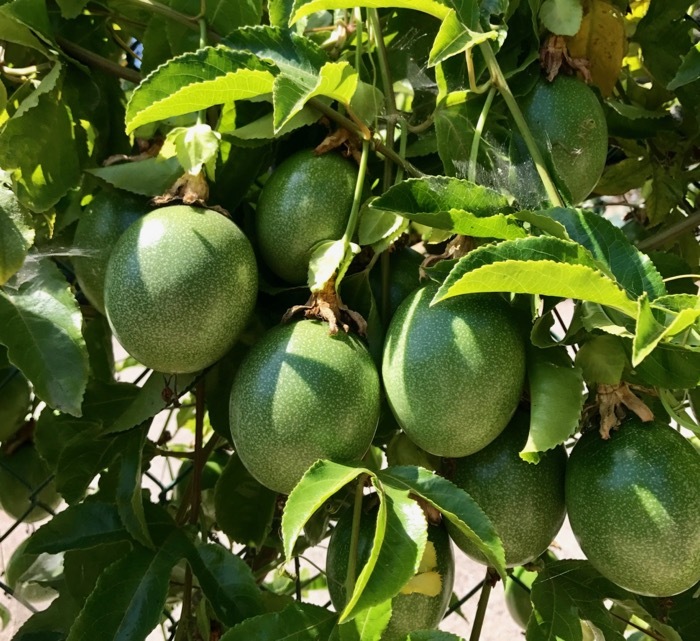 We will be eating passionfruit, and sharing passionfruit, and giving away passionfruit (which is the same as sharing, really, but sounds more random, more "please! take them!") We will be jarring up lilikoi butter, and sipping lilikoi juice, making lilikoi syrup for lilikoi shave ice. Ono, ohana! We'll have more than plenty, for all! 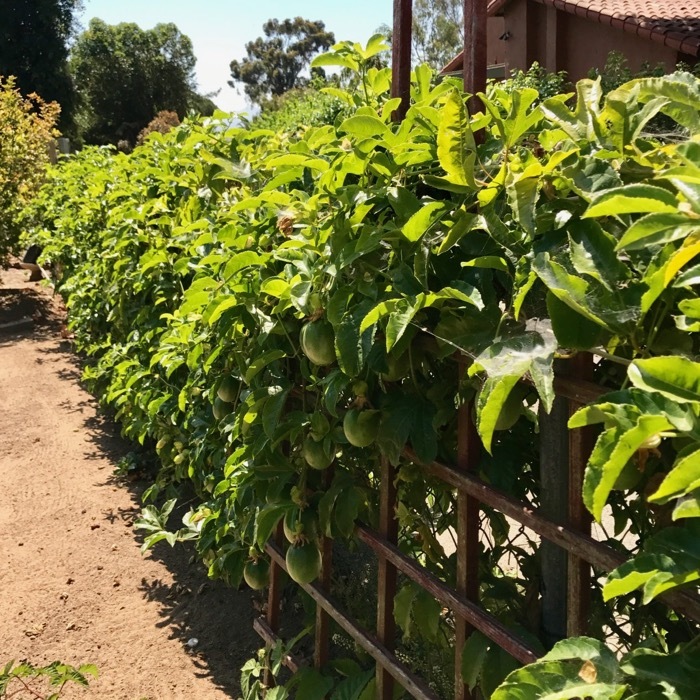 This is only one half of two fences that are full of fruit! And apples. These need eating, now. Such a delicious dilemma. Our Little Free Library will have lemons on the sharing shelf. Oh, and I received a garden zucchini big enough to hold in a loving embrace. I think we can turn that into an equally sizable zucchini bread. It's summer! It's garden abundance season, and sharing the bounty time. What are you growing, harvesting, sharing? It's an eye-popping abundance of wonders!!! Hard to imagine living in a place that provides so very much, and makes so much possible. We're getting our snips of basil and rosemary here and there, some chives, a little chard, and think we might have 3 or 4 hot peppers soon.... Annnnnd that's it. Sigh.